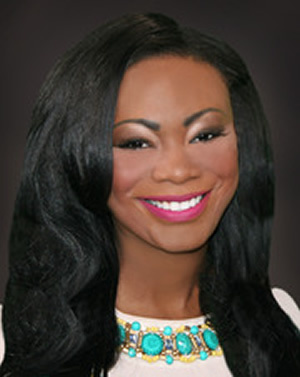 Award-winning Anchor/Reporter Shantel Middleton worked in both North and South Carolina; Washington, DC; the Caribbean Island of Saint Thomas, New York City, and Illinois before joining CBS 12 News. She started her career at WCIV, ABC News 4 in Charleston, South Carolina. Throughout her career, Shantel has reported on events across the United States, including the 2008 presidential election and the arrests of two Egyptian-born college students for allegedly driving with bomb-making materials near the naval brig that housed enemy combatant Ali al-Mari. In 2008 Shantel was a part of the Emmy award-winning Choose or Lose Street Team for MTV News, The Associated Press, and The Knight Foundation. Her work was shared nationally on VH1, the MTV Network channels, and in publications like USA Today. Craving a better understanding of the political machine after the election, Shantel went on to work as a TV news reporter in the US Virgin Islands and then unpaid at the US Capitol. She was there when the Affordable Healthcare Act originally passed through the US House of Representatives in November of 2009. Shantel picked up several awards including Best Reporter by the Illinois Associated Press. Volunteering is a significant part of Shantel’s life. After a friend’s diagnosis of childhood cancer, Shantel knew she would one day volunteer to help other kids with cancer. At 20 she became a volunteer with the non-profit, childhood cancer support organization Happy Days and Special Times in Charleston, South Carolina. In Illinois she volunteered at Saint John’s Children’s Hospital and became a member of the Lincolnland Stroke Support Network’s Advisory Board. She will continue her work with childhood cancer patients and survivors in south Florida.